The track focuses on the band’s melodic songwriting side, teasing fans for the band’s upcoming release that they have been working on in the studio with producer Johnny Franck. 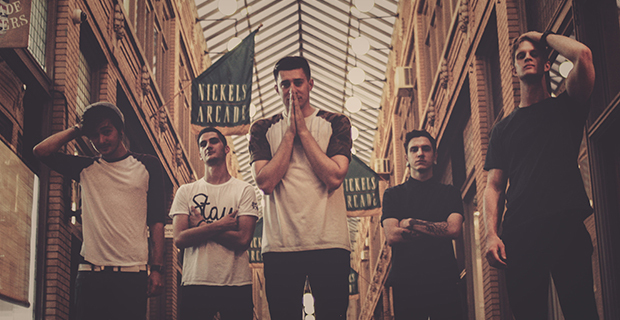 You’ll be virtually unable to ignore Boys Of Fall in the coming months as singer Mike Martenson is a major feature on YouTube sensation’s Jarrod Alonge’s (Every Vocalist Ever, Issues Tissues) debut album and the band will be hitting the road and festival circuit this summer. Join the movement now or be left in the dust. “Under My Skin” can be viewed right after the jump. For fans of A Day To Remember, Memphis May Fire, Four Year Strong, and Of Mice & Men, these guys will be your next favorite group. “Under My Skin” is available for free download via Bandcamp.